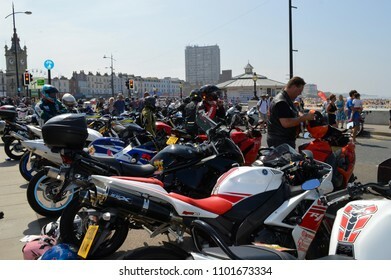 978 stock photos, vectors, and illustrations are available royalty-free. 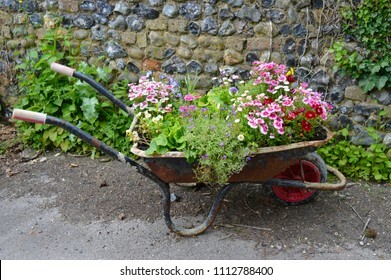 Old wheelbarrows filled with summer flowers. 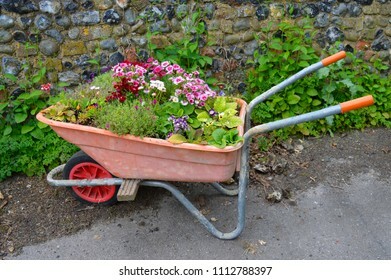 Traditional wheel barrows are used as clever summer planters, filled with flowers including pansies, dianthus, garden pinks and aubrieta. 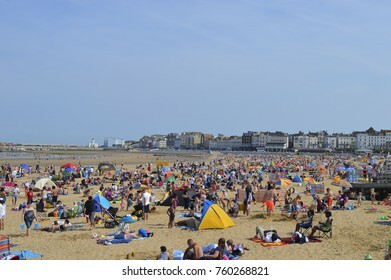 MARGATE, UK- AUGUST 28: Visitors flock to Margate Main Sands, voted one of the best beaches in Britain and enjoy the sunshine on the August Bank Holiday. 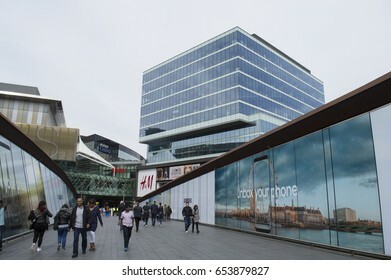 August 28, 2017. 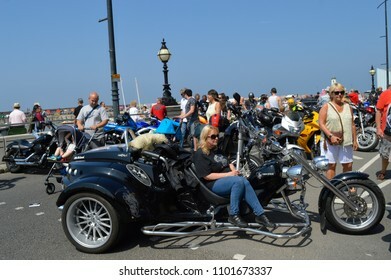 Margate, Kent UK. 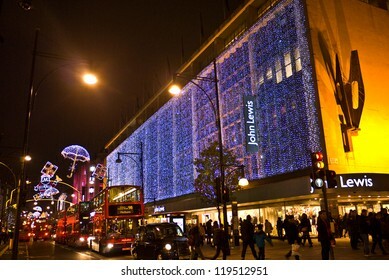 An illustration of stylized trees in bright colors. 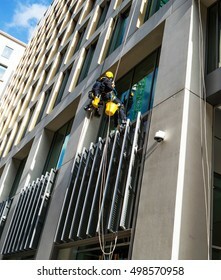 The trees have branches filled with panels of color. 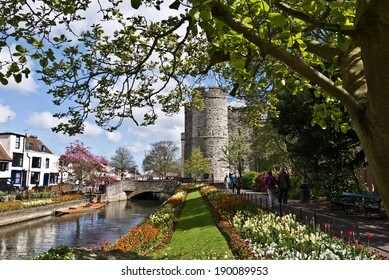 The trees are growing in green grass with a sunset behind them. 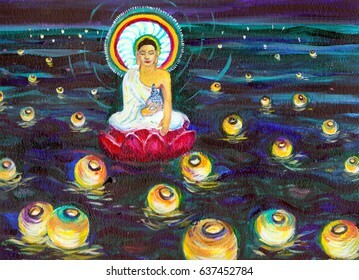 Buddha illustration with Moon and planets. 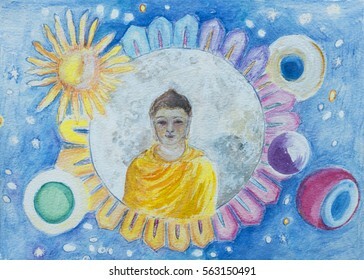 A colourful hand drawn and painted illustration of a youthful Buddha, with the moon, sun and planets set in a blue starry sky. 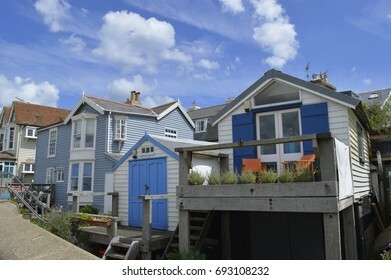 WHITSTABLE, UK-JULY 22: A row of traditional English fishermen's cottages and weather boarded buildings. 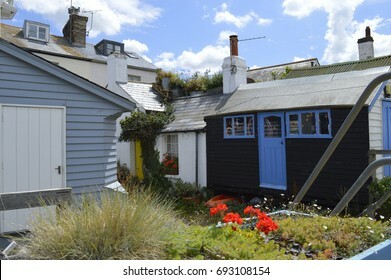 Whitstable has been named a property hot spot in 2017.July 22, 2017 in Whitstable, Kent UK. 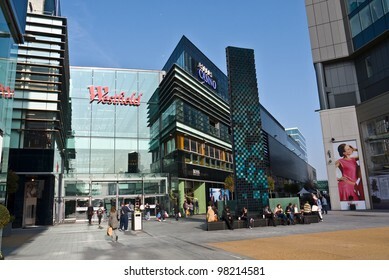 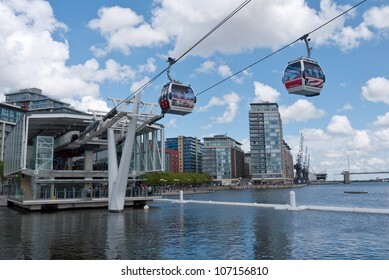 LONDON, UK- APRIL 4: View of Westfield Stratford City Europe's largest urban shopping and leisure destination, with over 65 restaurants and over 250 shops. 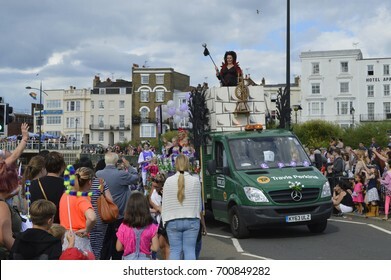 April 30, 2017 in London UK. 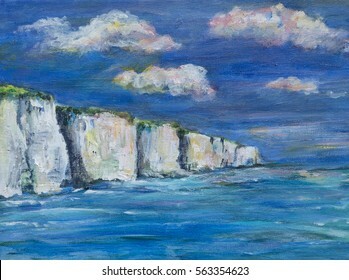 Acrylic painting, illustration of white cliffs, sea and sky. 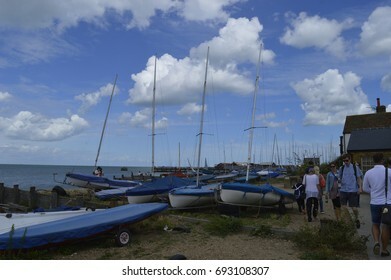 The white cliffs of Kent, England rise above the blue sea with clouds in the sky. 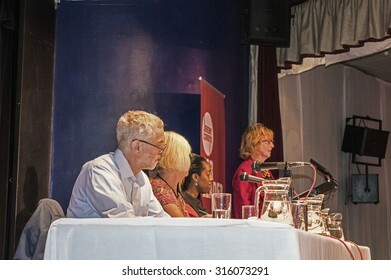 A dramatic sunset over the sea. 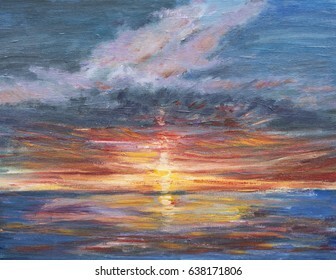 A hand drawn and semi abstract painted illustration of the sea and sunset in Margate, inspired by Turner. 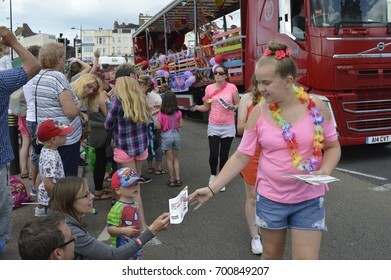 Dramatic pink and red clouds rise above rolling waves. 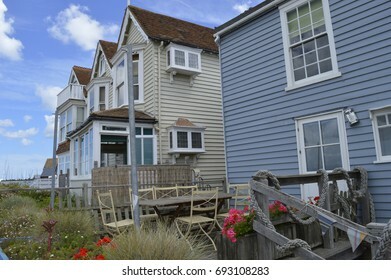 WHITSTABLE, UK-JULY 22: A row of traditional weather boarded houses along Whitstable sea front. 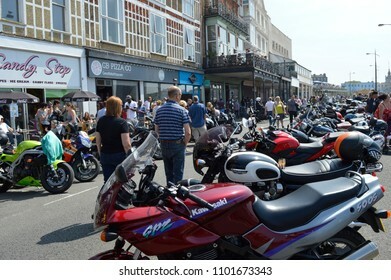 Whitstable has been named as a property hot spot in 2017.. July 22, 2017 Whitstable, Kent, UK. 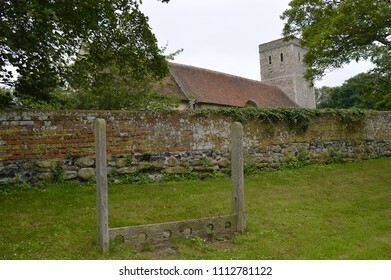 Traditional English country gardens in bloom. 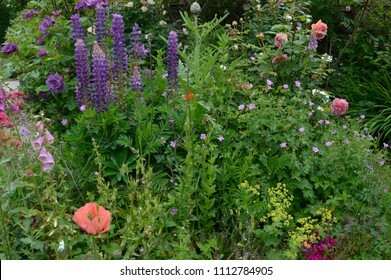 Borders and beds of flowers including lupins, roses, forget me nots, love in a mist, poppies and geraniums. 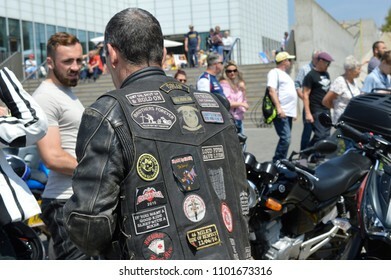 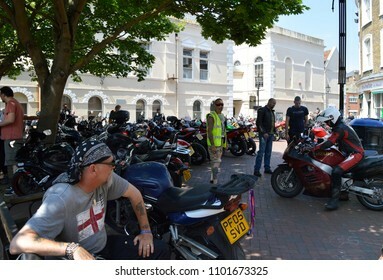 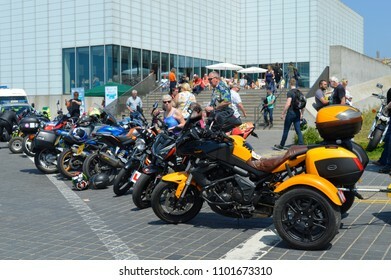 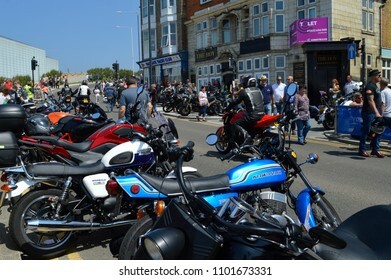 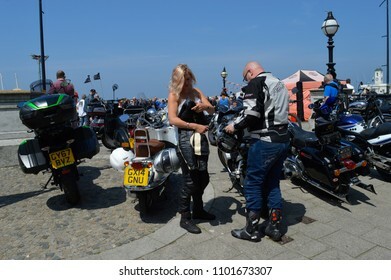 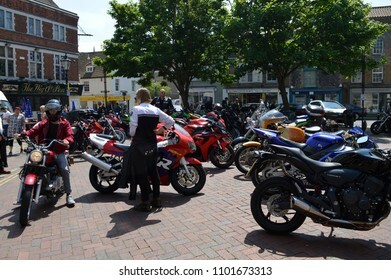 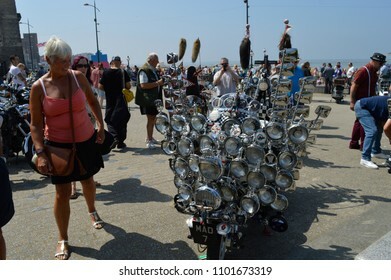 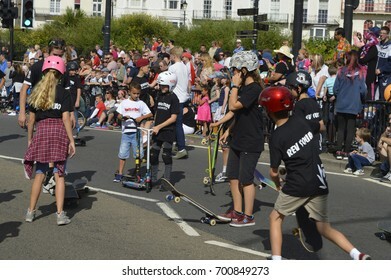 MARGATE,KENT/UK-MAY 28 2018: Hundreds of Bikers some with custom bikes flock to Margate for the annual Ace Cafe charity bike ride, the Margate Meltdown. 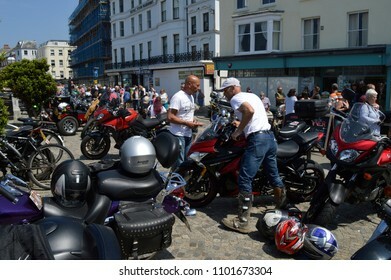 Visitors enjoy the bikes on display. 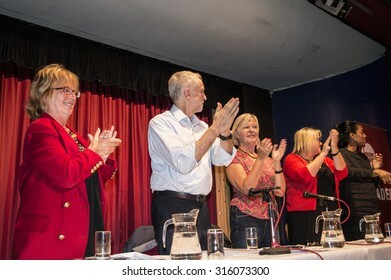 MARGATE, UK-SEPTEMBER 5: Jeremy Corbyn, now Labour Party Leader, applauds members of the rally in the Winter Gardens, Margate. 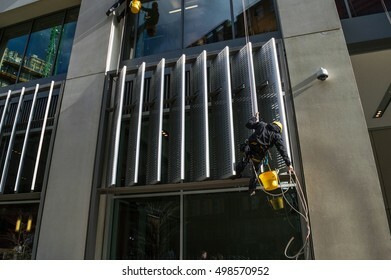 September 5. 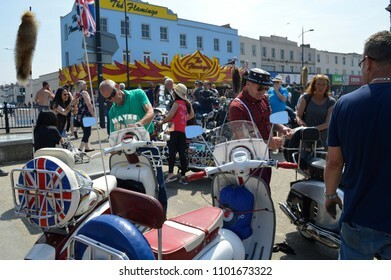 2015 in Margate, Kent UK. 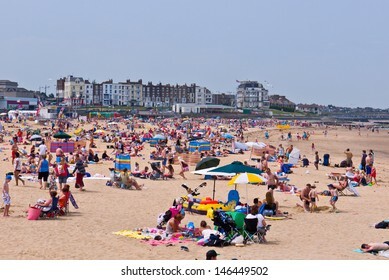 A painting, illustration of a sunset over the sea in Margate, Kent. 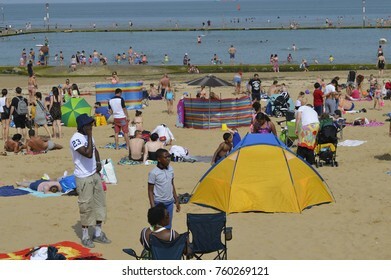 The red, orange and golds of the setting sun are reflected in the sea. 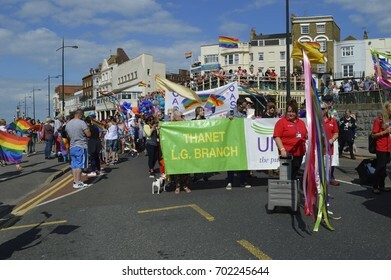 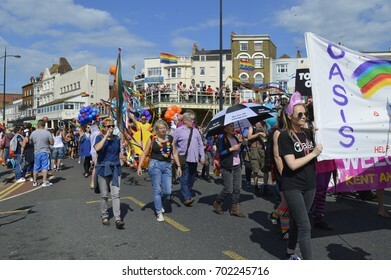 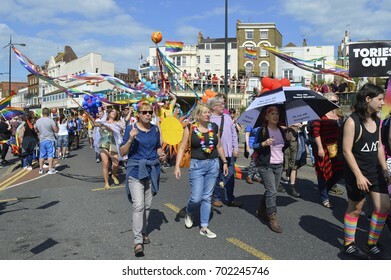 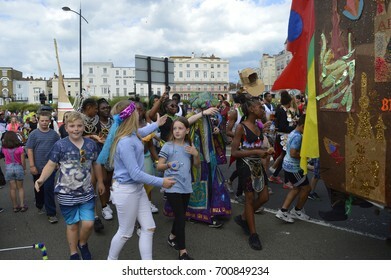 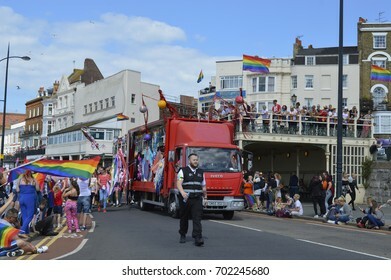 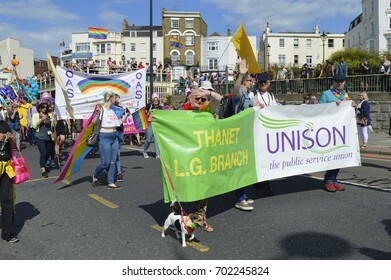 MARGATE, UK-AUGUST 12: Crowds watch people carrying flags and banners marching in the colourful Gay Pride Parade, part of the annual Margate Pride festival. 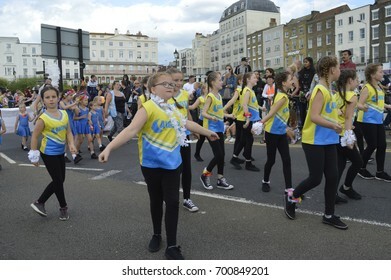 August 12, 2017 in Margate, UK. 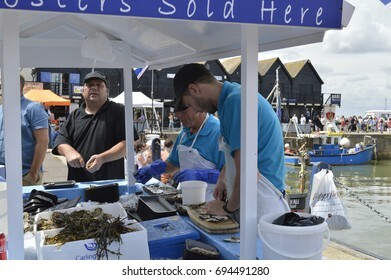 WHITSTABLE, UK-JULY 22:Visitors flock to the harbour to sample oysters in the annual Whitstable Oyster Festival. 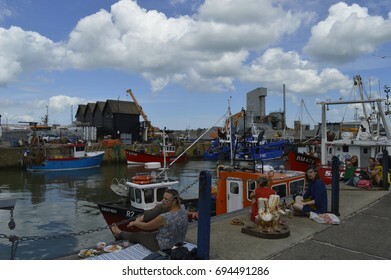 July 22, 2017 in Whitstable kent UK. 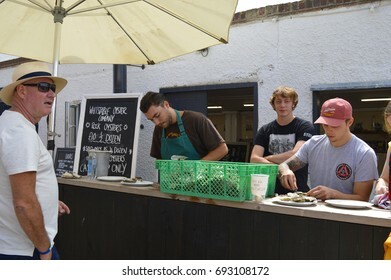 WHITSTABLE, UK-JULY 22: Visitors queue up at one of the many outlets selling oysters, during the world famous Oyster festival. 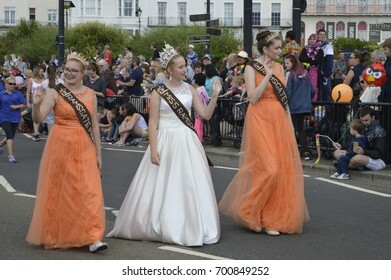 July 22, 2017 in Whitstable, Kent, UK. 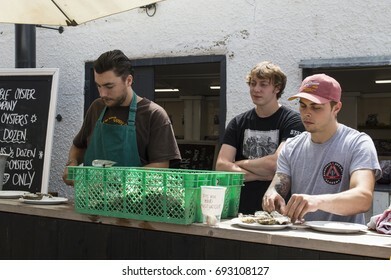 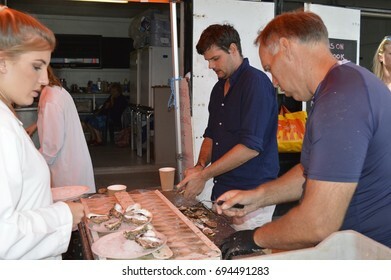 WHITSTABLE, UK-JULY 22: Fishmongers prepare and shuck oysters for the thousands of visitors that flock to the annual Oyster festival.July 22, 2017 in Whitstable, kent UK. 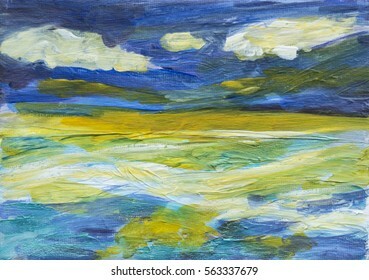 An acrylic painting, semi abstract illustration of the sea and sky. 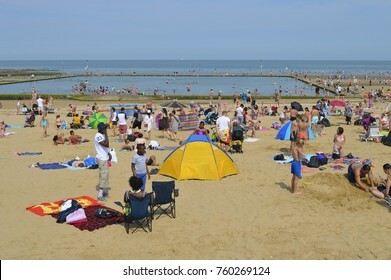 The sea has tones of green with blue and foaming waves, and the yellow light in the sky is reflected in the sea. 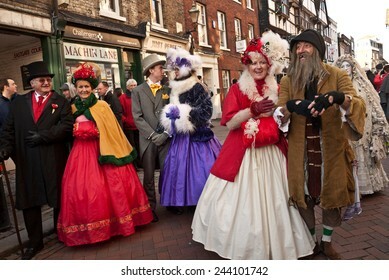 ROCHESTER, UK-DECEMBER 6: Couples dressed in fine Victorian costumes parade in the streets in the annual Rochester Dickensian Christmas Festival, December 6, 2014, Rochester UK. 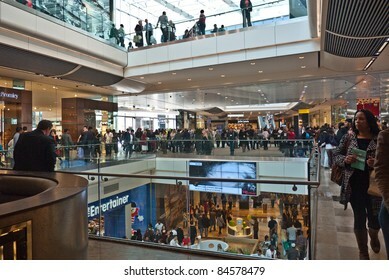 A background print of abstract and natural forms. 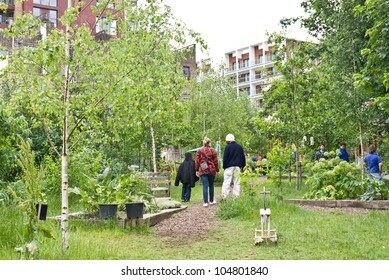 The print has a blue layered pattern with hints of green and orange and white shapes of tree and leaf stylized forms. 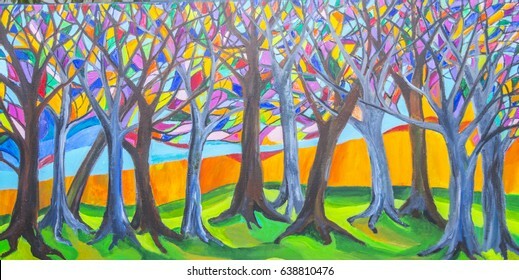 An illustration of stylized trees in bright colors. 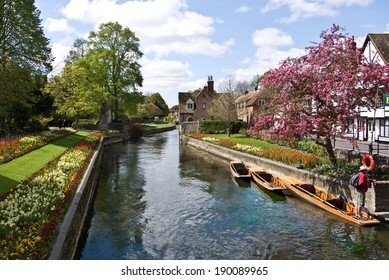 The trees have branches filled with panels of color and a blue stream runs along the foreground. 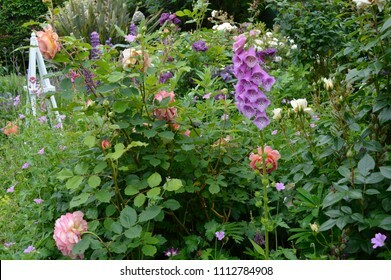 A background print of abstract and natural forms. 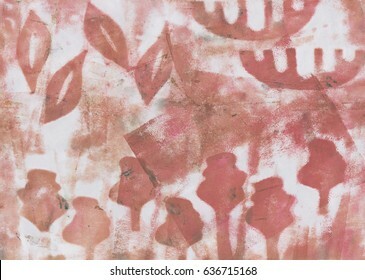 The print is in tones of red and brown with some overlapping leaf and tree forms and abstract shapes. 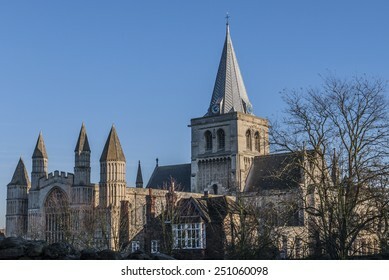 View of Rochester Cathedral in Kent which is the second oldest cathedral in England, founded 604 AD. 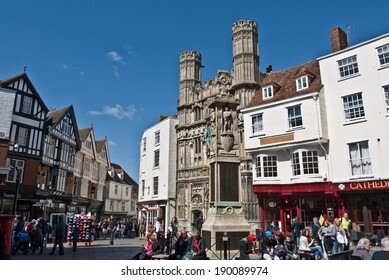 The cathedral attracts thousands of visitors and pilgrims each year. 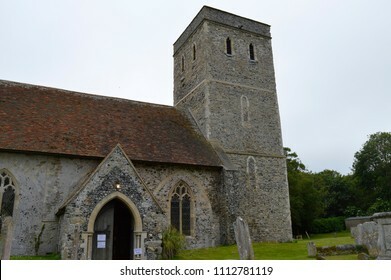 The Buddha surrounded by waves and sky. 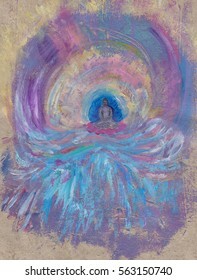 A hand drawn and painted illustration of the Buddha evoking energy and action. 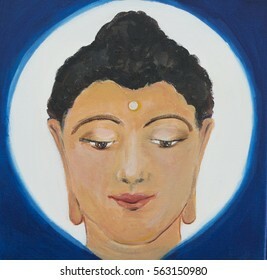 Acrylic painting of a peaceful Buddha Head. 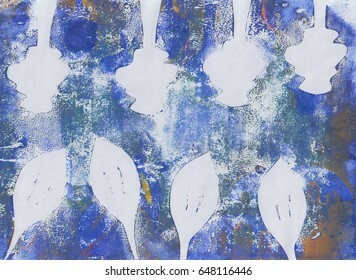 A close up hand drawn and painted, illustration of the Buddha, with a white circle on blue background. 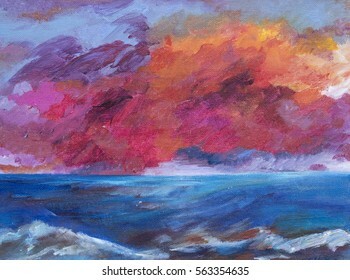 A colourful semi abstract seascape with pink clouds. 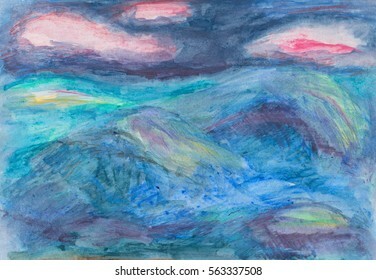 A hand drawn illustration, painting of the sea and sky, the sea has textured waves and the dark blue sky has pink clouds. 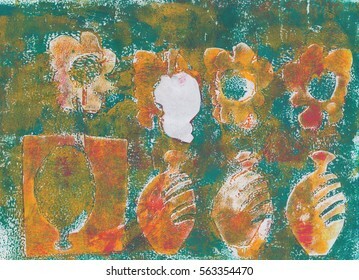 A textured and patterned background with cut out and repeated vase and flower design. 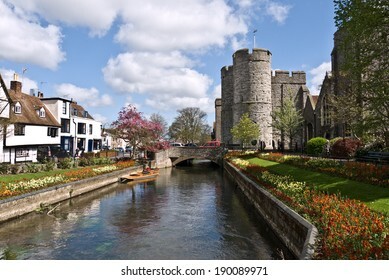 A handmade print on paper with a vintage and classical tone. 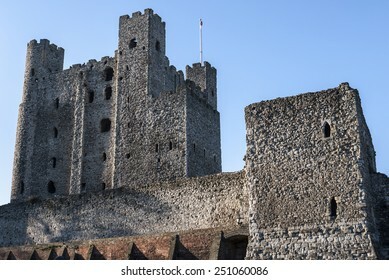 View of Rochester Castle in Kent, showing one of the best preserved Norman tower or keep in England. 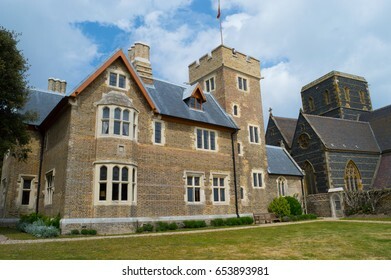 The castle was founded in 1127 and is visited by thousands of tourists each year. 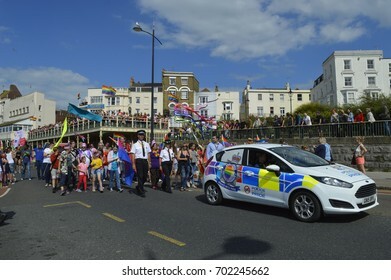 MARGATE, UK-AUGUST 12: Police and a police car join in the colourful Gay Pride Parade, part of the annual Margate Pride festival. 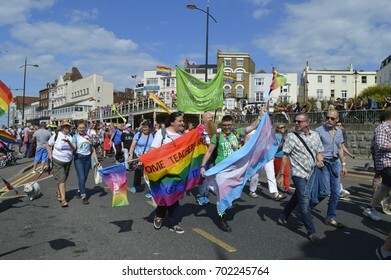 August 12, 2017 in Margate, UK. 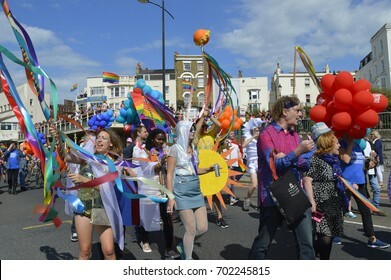 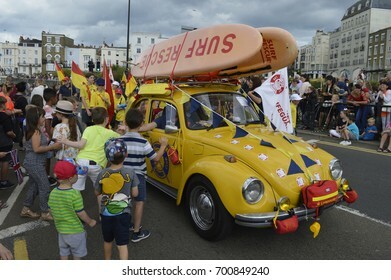 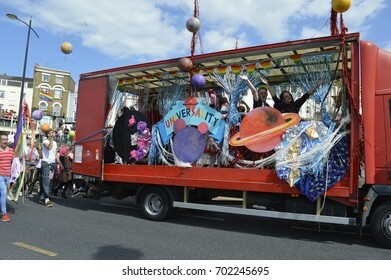 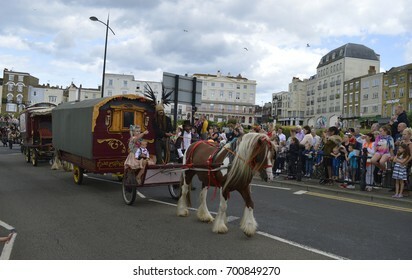 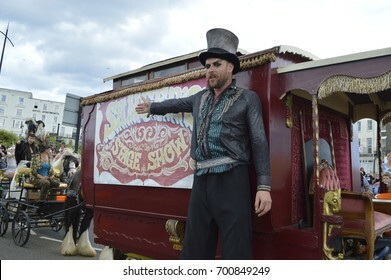 MARGATE, UK-AUGUST 12: A float with costumed performers taking part in the colourful Gay Pride Parade, part of the annual Margate Pride festival. 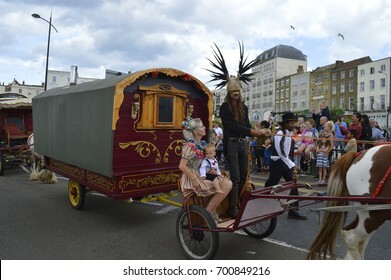 August 12, 2017 in Margate, UK. 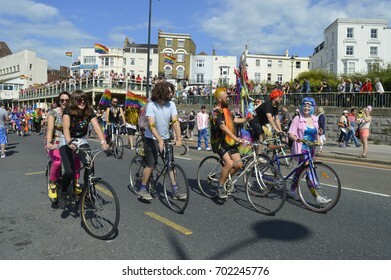 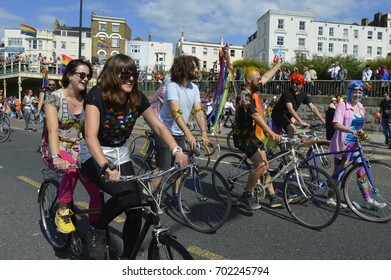 MARGATE, UK-AUGUST 12: Bicyclists take part in the Gay Pride Parade, part of the annual Margate Pride festival. 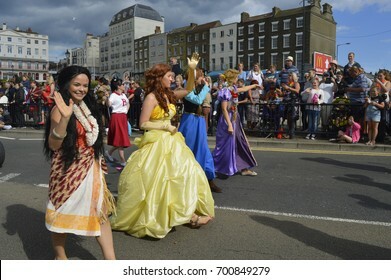 August 12, 2017 in Margate, UK. 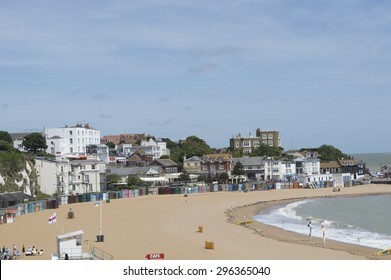 BROADSTAIRS,UK-JUNE 15: View of Viking Bay and Bleak House in Broadstairs. 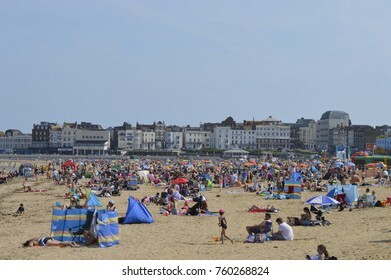 Kent beaches have been voted as some of the best in Europe for families in 2015. 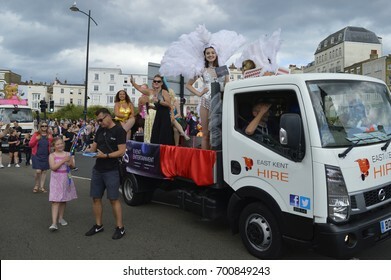 June 15, 2015 in Broadstairs Kent UK. 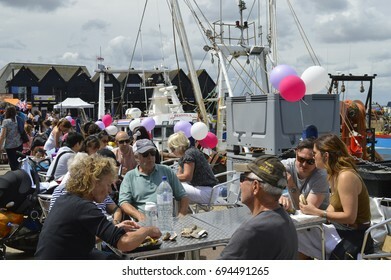 WHITSTABLE, UK-JULY 22:Visitors sitting by the harbour enjoying the oysters in the annual Whitstable Oyster Festival. 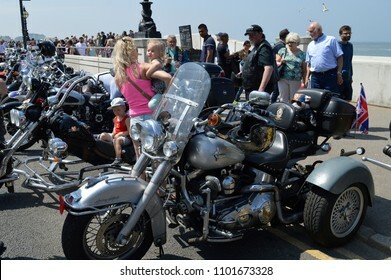 July 22, 2017 in Whitstable kent UK. 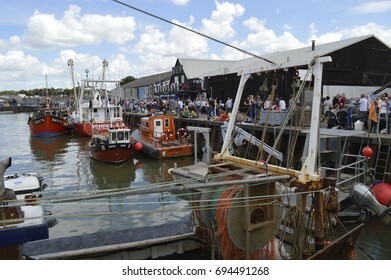 WHITSTABLE, UK-JULY 22: Visitors walk past the rows of docked boats in Whitstable during the world famous Oyster Festival. 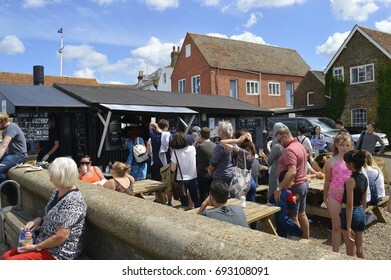 July 22, 2017 in Whitstable, Kent UK. 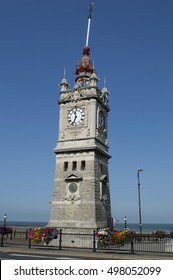 MARGATE, UK-SEPTEMBER 10: The Clock Tower celebrates Queen Victoria's Golden Jubilee in 1887 . 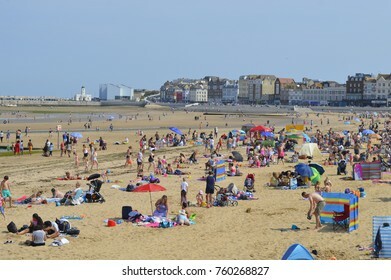 Margate has been voted the best seaside town in Britain. 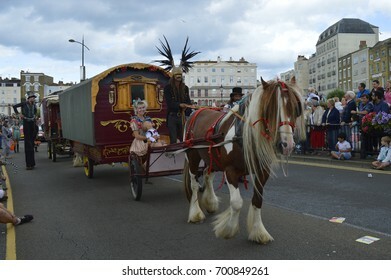 September 10, 2016 in Margate, Kent UK. 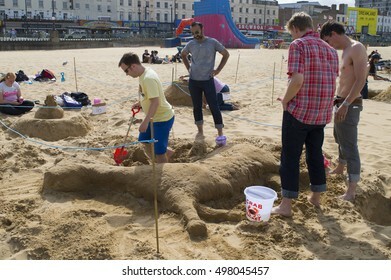 MARGATE, UK-SEPTEMBER 10: Contestants take part in the RIBA Sandcastle Challenge on Margate's main sands. 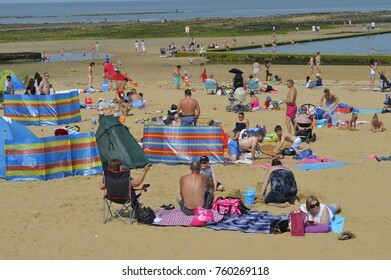 Margate has been voted best seaside town in Britain. 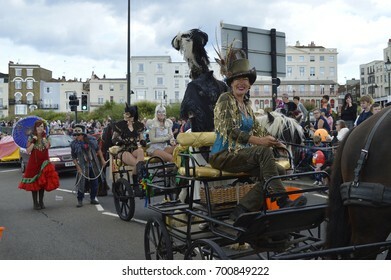 September 10, 2016 in Margate, Kent UK. 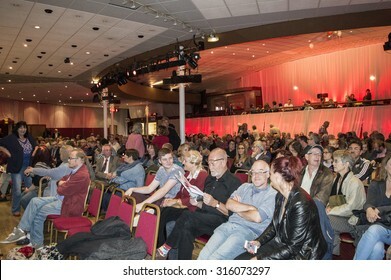 MARGATE, UK-SEPTEMBER 5: Members of the audience in the rally for Jeremy Corbyn's election to Labour party Leader, in Margate's Winter Garden. 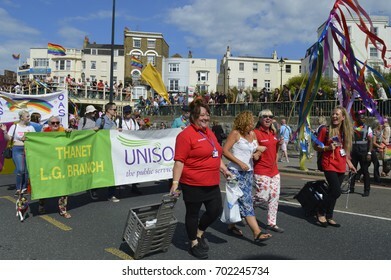 September 5, 2015, Margate, Kent UK.